Frank Kenyon passed from this world peacefully on Sunday night. He spent his last days surrounded by family and friends and appreciative of the life he lived. Frank was a founder of Friends of the Environment, who had a vision 28 years ago, to see Abaco's environment preserved through education. He put his heart and soul, in a very unassuming way, into the development and protection of Abaco since he arrived here in the 1950s. Through The Frank Kenyon Centre we have all made it possible that the legacy of this amazing man will go down in history. It's been almost two years since we embarked on the very "big and bold project" of The Frank Kenyon Centre for Research, Education, and Conservation. And just one year ago it all became a reality when we celebrated the opening. We are thankful that we will share, with all of you, this legacy forever. AND so thankful that Frank shared the journey of the creation with all of us. He had advocated for the protection of the Snake Cay creeks for many years. 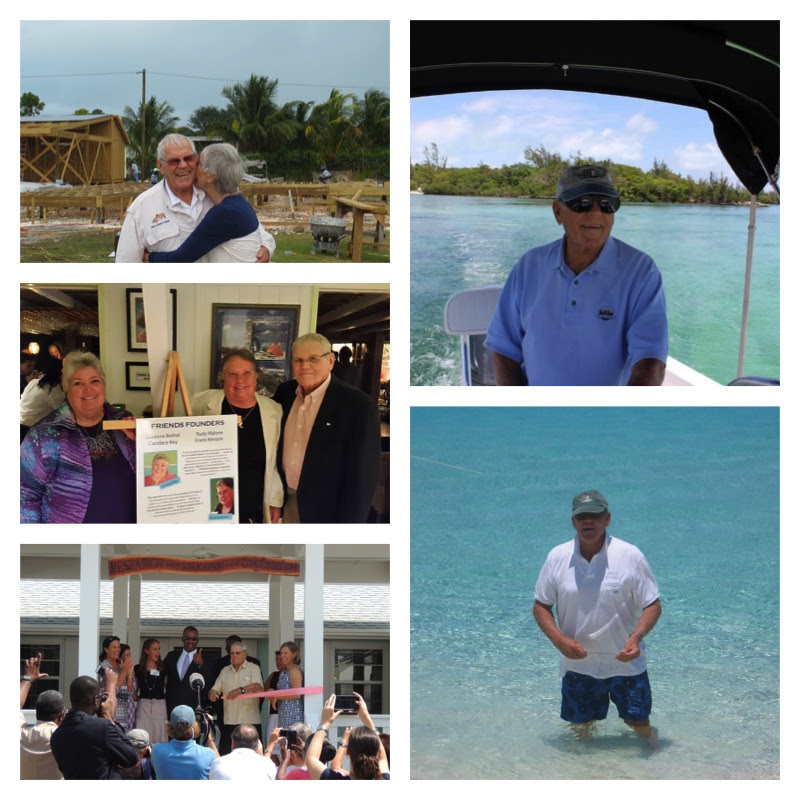 We are so happy that he lived to see the East Abaco Creeks proclaimed a marine protected area. In his unassuming way, Frank taught us to have the vision to protect what you love, believe in humanity, and to teach by doing and being the best example you can be. As The Frank Kenyon Centre continues to grow and thrive we can all be proud to be a part of honoring Frank's vision as many Bahamian children pass through The Frank Kenyon Centre ask "who was this great man? ", hear his story, form their own visions, be future stewards of our amazing environment and teach others by their own actions. Thank you for sharing in this legacy journey with us. A Church Service will be held at 3:30 PM on Friday April, 8 at St James Methodist Church in Hope Town followed by a celebration of life at the Abaco Inn. Frank asked that in lieu of flowers, donations be made to "Friends of the Environment" for the Frank Kenyon Centre to continue the environmental education in Abaco and beyond.